Here’s your one stop shop for the best RV products, services, and other awesome deals and freebies brought to you by our Full-Time Freedom Week speakers and sponsors! Good Sam provides a wide range of money-saving discounts and a variety of services to help RVers enjoy their time on the road and focus on the fun! Member’s enjoy10% savings in our network of 2,400+ Good Sam Parks in the U.S. and Canada, discounts of up to 10% at Camping World SuperCenters, and instant fuel discounts at select Pilot Flying J locations. Plus, Good Sam Club members enjoy savings on propane, Camping World installation fees, free online RV trip planning, savings at Gander Outdoors retail locations, show discounts and much more! Good Sam also has you covered with Roadside Assistance, extended warranty plans, RV loans and insurance, life and health insurance and travel assistance programs. Did you know that 3 out of every 10 RVs will suffer a major breakdown in only their 2nd year on the road? This number jumps to 8 out of 10 by their 5th year, and nearly every RV by their 8th! You can protect yourself from these costly RV repairs with a reliable RV warranty. Protect your travel budget and RVing dreams with comprehensive coverage for your home-on-wheels. 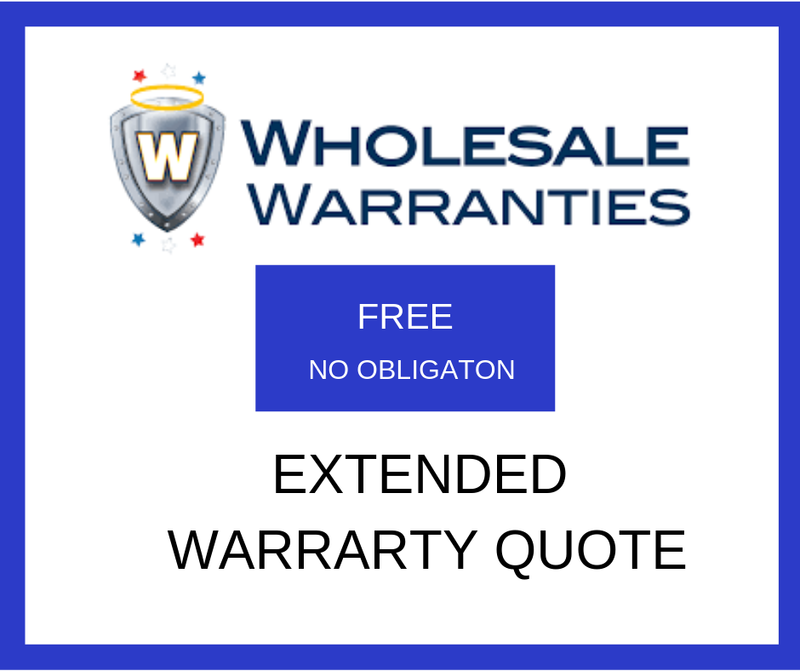 Wholesale Warranties offers top-rated policies that are backed by insurance carriers, and with a wide variety of coverage levels, deductibles, and options at our finger tips, we can match you up with a policy that fits your RV lifestyle. Get a free quote for RV Warranty coverage today, and travel with peace of mind tomorrow! Venture Wipes are a large 12x12” shower wipe in individual pouches that are ideal for packing a portable shower into your backpack, gym bag, purse, or your pocket. Made with biodegradable material and natural ingredients, these wipes are strong enough to leave you feeling fresh and clean. Don’t let technology hold you back! Are you stuck deep in the pits of blogging darkness not knowing how to get started? Are you unsure how to use the tools to drive traffic to your blog? Do you learn best by doing? I CAN HELP! 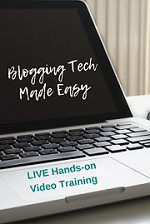 I will help you master the tools you need to make your blog thrive! Using LIVE video calls and screen sharing, I will walk you through each step of the process that you want to learn. Each training session includes 1-hr hands on training, a recording of the training session, and a PDF reference sheet. “It’s not always about making more money, it’s about doing more with the money you make”. Finance Your Detour is a 4-step program created by Dan and Lindsay McKenzie that will teach you the foundations of personal finance, guide you through a proven budgeting process, and provide you the tools to succeed. This program will get you on the right path to start funding your dream lifestyle. You’ll no longer wonder where your money is going each month! This program is especially helpful for couples looking to get on the same page with their finances and set savings and debt payoff goals together. So, no more fighting about money, either! Wondering what to make for the holidays? 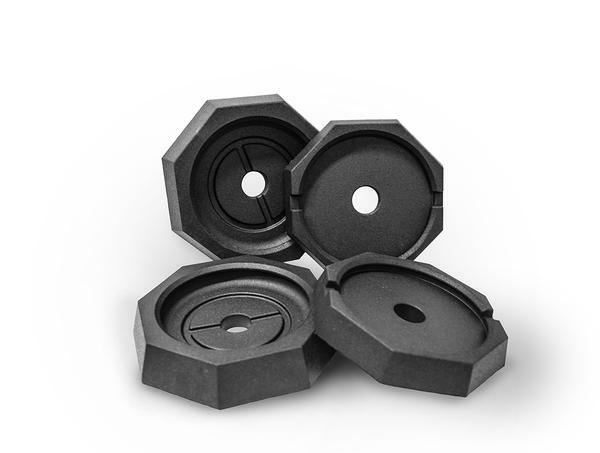 Or more importantly how it will fit in your tiny RV stove? Julie, of Chickery’s Travels has created this FREE Holiday Cookbook with recipes adaptations for the Instant Pot, Grill, and more. With appetizers, entrees, side dishes, desserts there is something for everyone! There are even options for plant based and gluten free diners. She also includes tips for making the most of your small kitchen. In this blog post, you will see the monthly expenses you’ll need to consider before hitting the road. 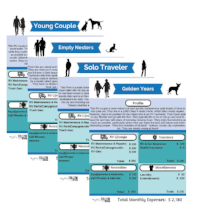 You’ll also get a FREE PDF and can see the monthly RV life costs of 7 different RVer profiles (solo traveler, young couple, baby on board, staycationers, empty nesters, adventure family, and golden ages). This information comes from surveying 7 full-time RVers and will give you a helpful picture of what your monthly RVing expenses will be, and therefore begin planning your life of freedom. You’ve made the decision to RV full-time. It’s exciting, but now the panic sets in. How do you tell your friends and family? Do you keep your job or get a new remote job? What about making friends on the road? The FREE Emotional Journey Guidebook answers these question and more. Hear from several other RVers who have come before you to share their experiences. 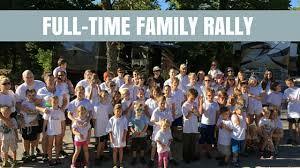 Complete activities that help guide your emotional journey of being a full-time RVer. FREE checklist to help you stay organized when breaking camp. Never forget anything again! The checklist can be checked off from your mobile device! The idea of living with less stuff may sound great, but the reality of downsizing and getting rid of things can be overwhelming and even emotional. Through this online course, you’ll overcome mental hurdles and practical challenges as you complete step-by-step tasks to help you sort your belongings and determine what to do with them. Lessons include daily assignments, information about the best ways to sell items for cash, resources for recycling or donating items you don’t want ending up in a landfill, ideas for sentimental items, and tips for running a successful yard sale. A printable workbook and calendar are also included. 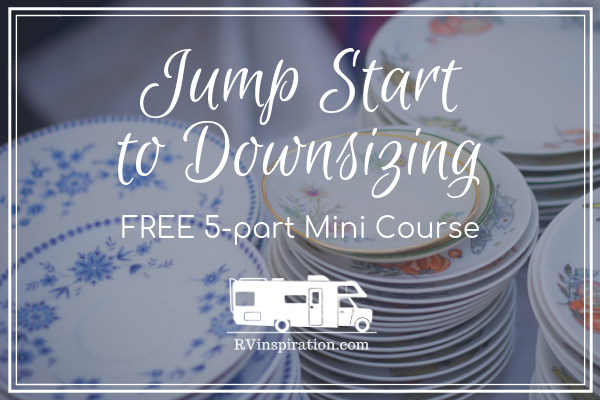 Free Mini-Course: "Jump Start to Downsizing"
Are you wanting to downsize and declutter but not sure where to start? 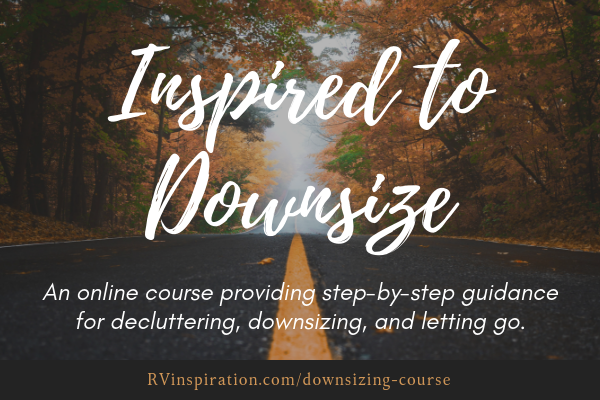 “Jump Start to Downsizing” is a FREE 5-part mini course that gives you practical advice and actionable steps to help you take the first steps toward a life with less “stuff”. As you complete this 5-day challenge, you’ll overcome mental hurdles and gain initial momentum that will inspire you to continue with the downsizing process. Thinking about painting in your RV? This handy PDF reference guide outlines the required materials and basic process for painting walls, cabinets, and other interior surfaces in your camper or motorhome. Stay warm and cozy in your RV, even when it's cold outside! This printable checklist will help you think through the essentials and anticipate potential problems. 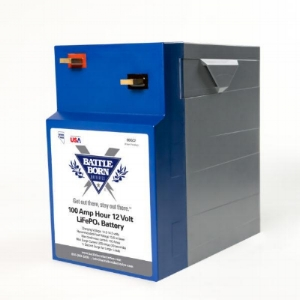 Grab your FREE Choosing the Right RV for You Power Pack from RV to Freedom. 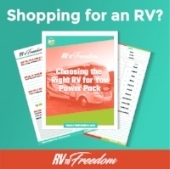 This bundle includes the Choosing the Right RV for You worksheet and the Shopping Cheat Sheet! You'll be able to define your needs, save time looking for the right things, and stay organized. Learn to Live in an RV! Join the RV to Freedom Facebook group and find your freedom! Known as the friendliest RVing group on Facebook, you'll find a helpful community and hosts (Kerensa & Brandon) ready to support your journey. Ready to discover your RV expenses for full-time travel? This FREE 4 Module RV Expense & Budget Mini Course will teach you how to define your travel style so you can budget expenses, offer tips for saving money, give you my exact budget breakdown, plus your own blank budget template. 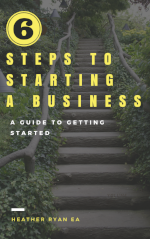 When starting a business there are going to be multiple business blockers that can get in the way and STOP you from making your dream business a reality. Are you ready to knock those business blockers out of the way so you can start living your dream?! This course will identify those business blockers and help you work through them so you can keep moving ahead. The perfect intersection of trip planning, reservation tracking & daily activity scheduling. With a framework for tracking your campground reservations, trip expenses, and travel goals, it also provides a template for destination planning and space for planning your activities and fun. Spiral Bound with monthly tabs, laminated full-color covers and high quality paper make this planner look and feel as elegant as it is functional. Inspirational travel design and full-color make the pages visually appealing and inspiring to use. 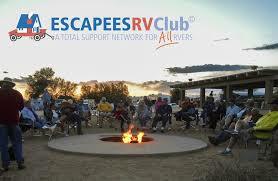 FREE Campground Reservation Log specially designed for RVers! It will help you organize your campground reservations. Give you a place to store your information on different campground as you make a decision to reserve. Take the Stress Out of Buying the Right RV This course is the course I wish I'd had when I was learning the basics of RV research. It answers questions like Should I buy a Travel Trailer? 5th Wheel? Motorhome? Used or new? 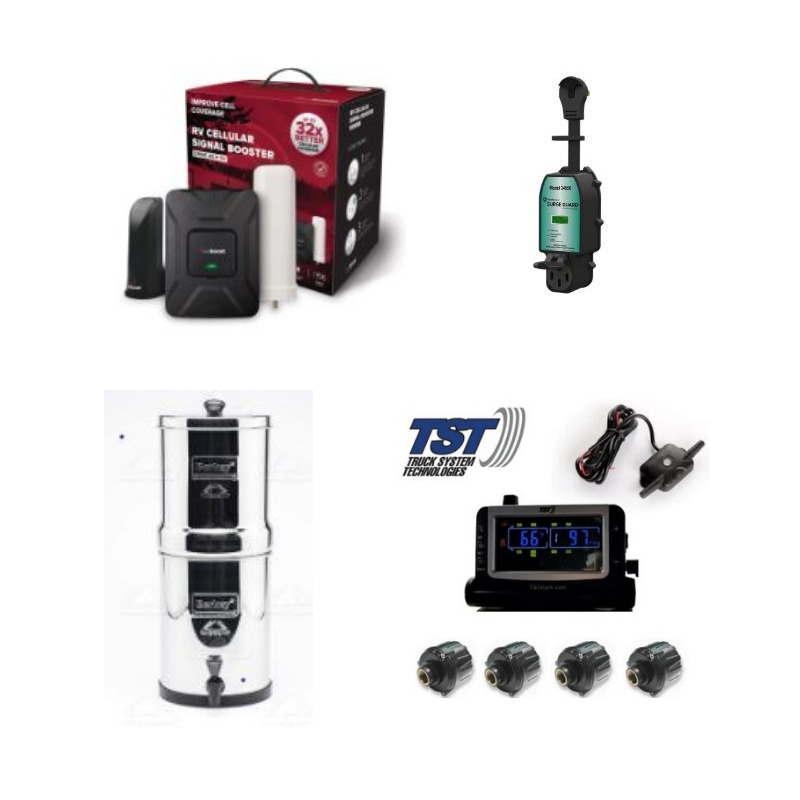 How can I find deals on RVs? How much can I carry in my RV? What do I need to pull it? Free PDF copies each day of FTFW! A mobile app for iOS and Android that contains the four major carriers coverage maps on your device. Create your own personalized coverage map to better plan your travels! Every RVer's basic needs answered with essential oils. Topics range from immune system support, pets, sore joints on the road, sleep trouble, first aid and more. Take the guesswork out of whether or not you will stay healthy on the road. Tues., Dec. 11th, 4:00 PM ET. Can't make the time? Register, so you can join other RVers live, or you can watch the class recording at your leisure. The tool for planning your travels and the perfect keepsake for remembering your journeys! It has all of the features of a monthly calendar with many bonus features specific to RVing like packing checklists, trip itinerary & budget planning, set-up & teardown checklists, storage checklists, RV maintenance tracking and more. Created after our first year of fulltime RVing, the planner is for fulltime & part-time RVers. In its third year, The Original Planner for RVers packs even more functional tools for RVers! Watch the video to see it for yourself! The Remote Work Roundup is a FREE, 4-day email series, that helps you navigate the remote work industry. You will learn about the various remote work options, assess your skills, and learn where to search for remote jobs. Cut through the confusion and find the right remote job for you! Finding remote work can be one of the biggest issues to RVing full-time. If you’ve always worked in one place or the same job types, it’s hard to picture what you can do from the road. This has stopped many people from living their dream of traveling full-time. Remote Work 101: Work, Live, and Travel Where You Want, helps you solve that challenge by showing how and where to find remote jobs. This comprehensive program introduces you to the various remote jobs options, how to search on platforms, how to write a remote job resume, interview remotely, set up a remote office and more! Click here to learn more about how Remote Work 101 can help you find the right remote job so you can travel full-time. Who do I contact to discuss sponsorship opportunities? What should I say when I reach out to them? How can I get a company to be interested in me? How do I build a focused audience? How do I pick a project that companies are interested in backing? How do I find companies that are willing to pay me for my project? The illustrated adventures of Vladimir Kitten - the cat that took his owners on the journey of a lifetime to see all 59 National Parks! This bundle includes the eBook “Growing Up Roadschooled: Lessons Learned from a Roadschooled Kid”, the digital album “Music & Lyrics”, a digital lyric booklet, AND the digital album “More to Me”.